The New Paris Pike Landfill has been in operation since 1968. The original landfill cell closed in January, 1993, as new stated of the art landfill cell's opened. In order to keep materials out of the landfill that do not have to be buried, the landfill has several different dumpsites including: a skid/pallet dumpsite, a brush dumpsite and a clean fill dump site. If these items are mixed you could be subject to a higher rate per ton to dump them. The landfill is a valuable asset for any community to possess. In order to extend the life of our landfill, the landfill has established several disposal sites and offers many services, which ultimately benefit our environment. 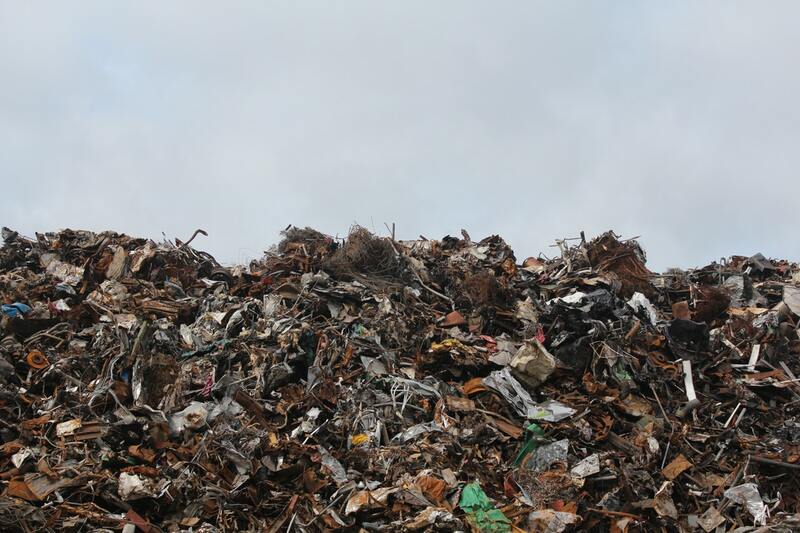 These disposal sites include a solid waste disposal site, a skid/pallet disposal site, a brush disposal site, a yard waste disposal site, and a clean fill disposal site. In order to maximize the life of the landfill, materials to be disposed of should be sorted. If these materials are mixed you could be subject to higher disposal rate. Additional services offered at the landfill include: a tire drop off area, a household hazardous waste drop off area, a recycling drop off area, yard waste drop off area, a brush drop off area, a freon unit drop off area and a residential solid waste drop off area. These services, when combined, make up the Residential Resource Recovery Area (RRRA). During normal scale hours, anyone may be directed to utilize the RRRA. If you are an R.S.D. customer, you may bring this type of waste to the landfill for disposal free of charge. For R.S.D. customers, this waste can be brought to the landfill during normal or extended hours. If you are a contractor or generate an excessive amount of brush waste; the waste will be weighed and you will be charged for disposal. Contractors and excessive quantities will only be accepted during normal scale hours. The clean fill material can be brought to landfill, where it will be weighed and you will be charged for disposal. The clean fill includes dirt, rocks, bricks, and concrete. Clean fill needs to be separated from other waste or you may be subject to a higher disposal rate. Clean fill will only be accepted during normal scale hours. Refrigerators, air conditioners, freezers, and dehumidifiers can be taken to the landfill. There is a $35.00 disposal fee charge for all appliances containing freon. This program has potential to protect drinking water, our wastewater treatment plant, and our community. The following items may be disposed of: oil-based paints, household solvents, motor oil, car batteries, bug and weed killers, etc. For questions on other items please call 983-7460. Cardboard and metal can also be recycled at the Landfill. Grass clippings, leaves, hedge clippings, brush, straw, non-treated wood and limbs - almost anything that can be composted. All of these items can be brought to the landfill free of charge. Please NOTE that the New Paris Pike Landfill DOES NOT except E-Waste.